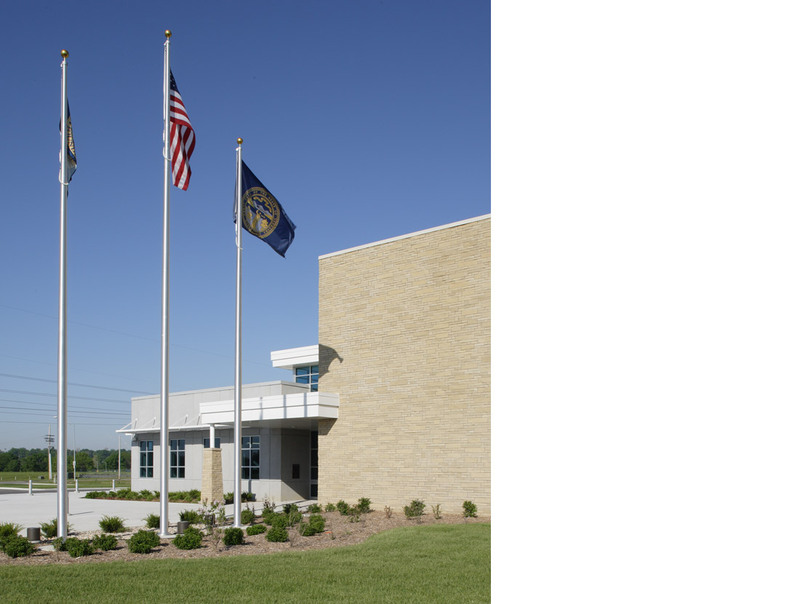 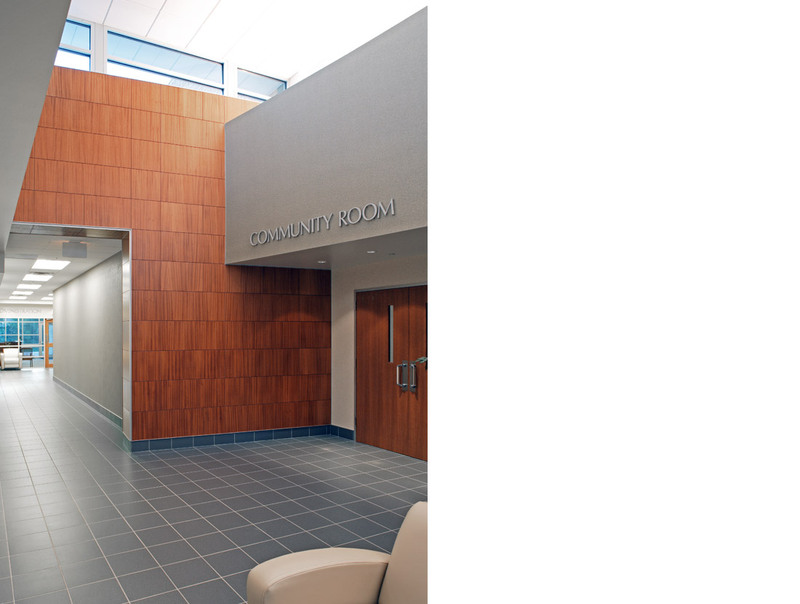 This 24,000 SF facility planned and designed by Police Facility Design Group serves as headquarters for the growing police department in Papillion, Nebraska, a community in the Omaha metropolitan area which is currently experiencing rapid growth. 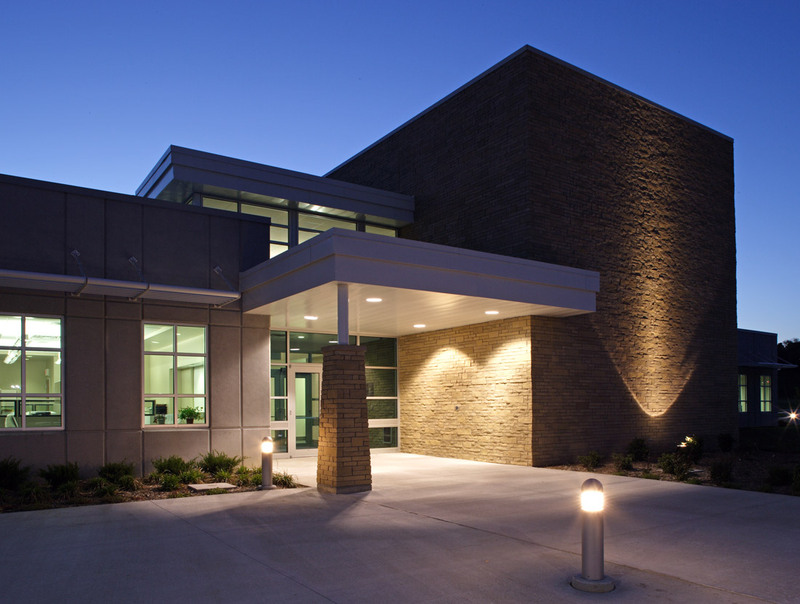 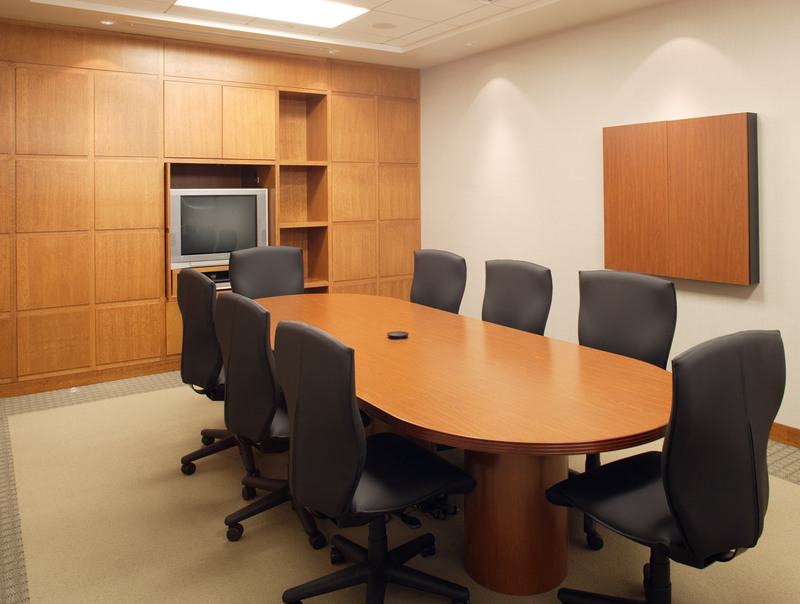 Working with the City, a final project design was crafted that helped to overcome funding challenges while maintaining strong design quality. 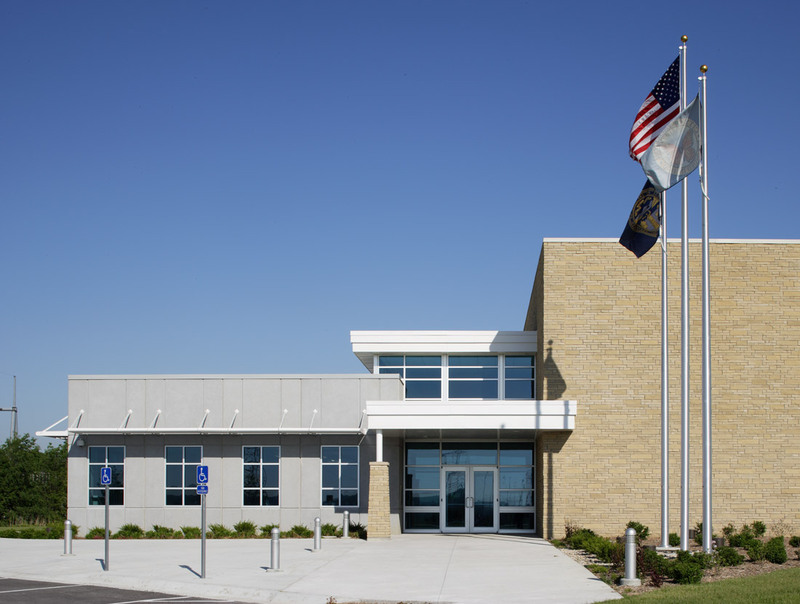 The resulting facility was completed in 2005 and reinforces community pride, reflects the importance of public safety and will meet department needs for years to come. 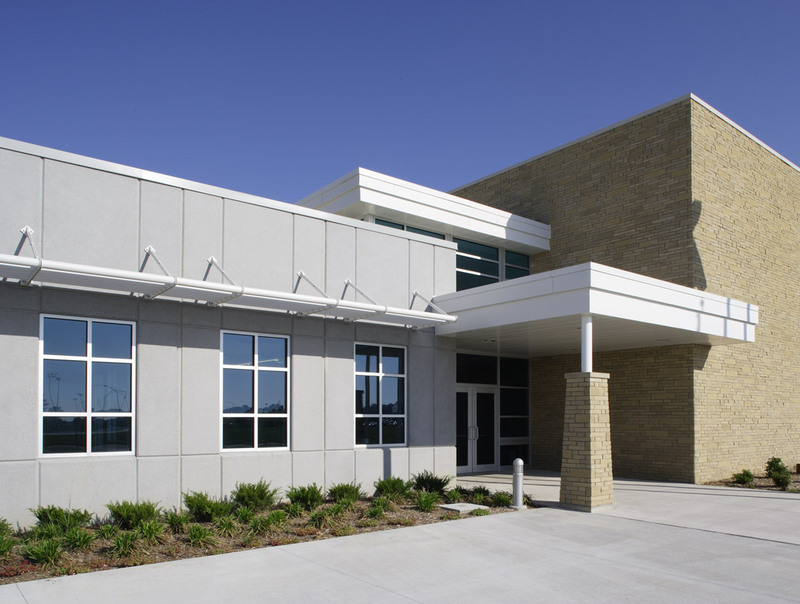 The facility houses all police operations and also includes a large flexible-use space that can accommodate police in-service training and community functions. 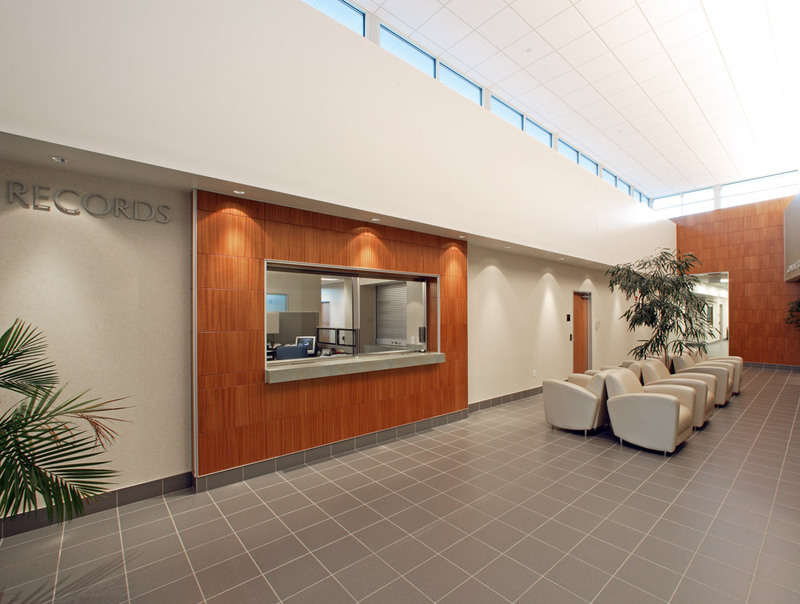 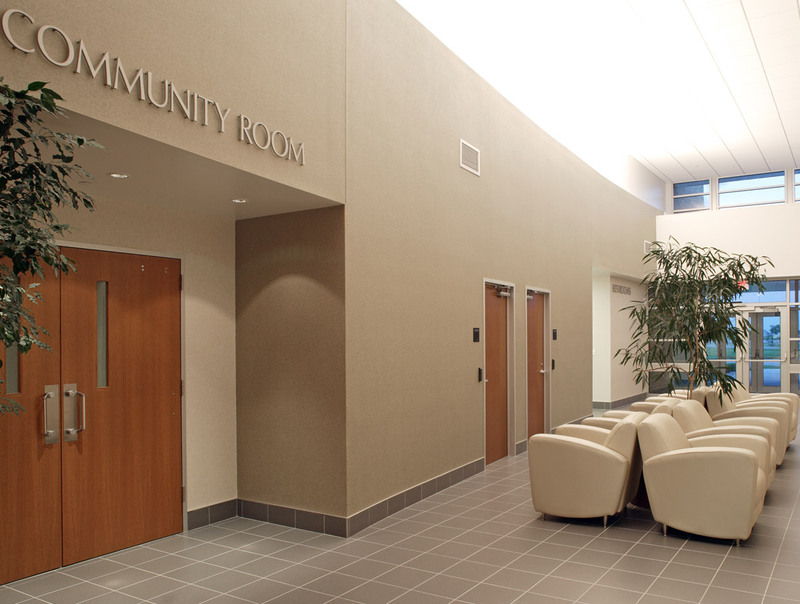 A large lobby with ample natural lighting provides public contact points for Records, Administration and Community Policing personnel. 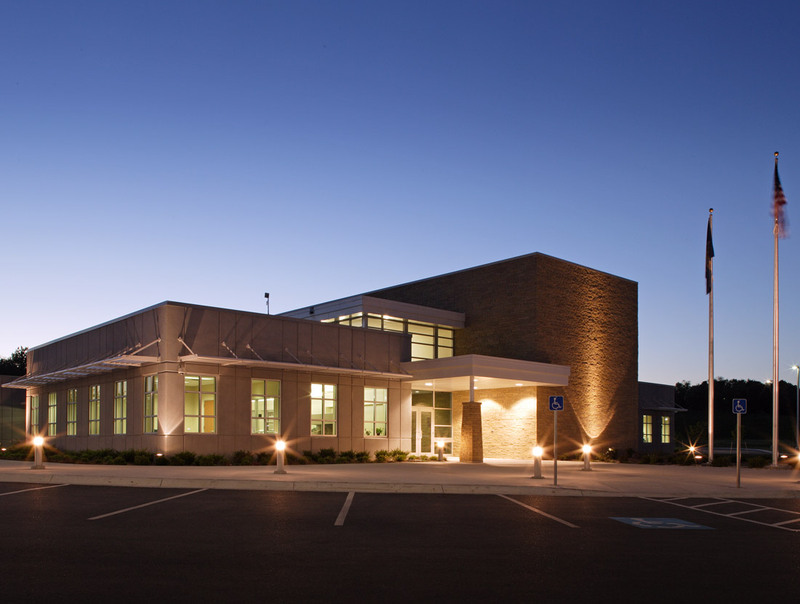 The site is large enough for both building and parking expansion, which will allow the new facility to function beyond the 20-year planning horizon.